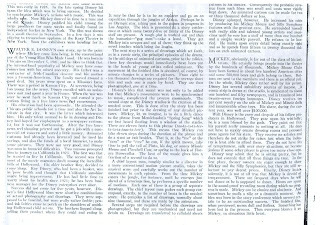 The Future of Fantasound by Edward H. Plumb in Journal of the Society of Motion Picture Engineers (July 1942)? 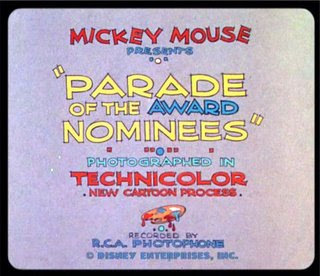 Pete Merolo saw David Lesjak's post earlier this week about the Parade of Award Nominees and was kind enough to share original artwork from the short with us. 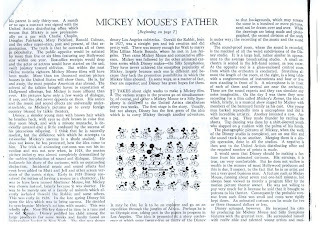 I need help transcribing once again: would anyone of you be willing to handle the transcription of an interview with Disney comics script writer Bob Foster? If so, please drop me a line. Very interesting question from a reader of the blog. I wonder if anyone can help. I have checked and Clement, who wrote this email, is right: there seems to be very little if any biographical info available about Pearce. 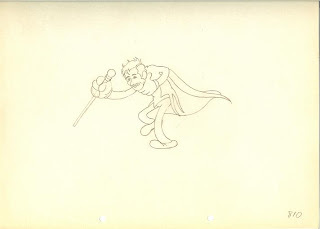 This great clip was found by Steve Moore and posted on Cartoon Brew by Jerry Beck. Thanks to both. "Do you know if Walt visited the Cote d'Azur while in Europe? I'm sure he must have: I was recently drawing in Eze near Monaco and a friend informed me Disney was known to have visited the village. Can you verify that?" 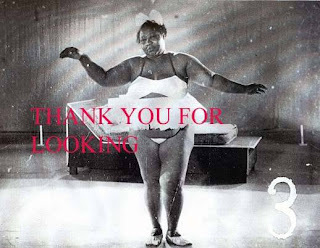 "Denise Fabre, famous French TV hostess and a native of Nice, mentions in her autobiography (I don't have it handy, right now!) that, when she was 18, she babysat for Diane's children. Diane was so pleased with Denise that she offered to take her to California, but Denise declined!" 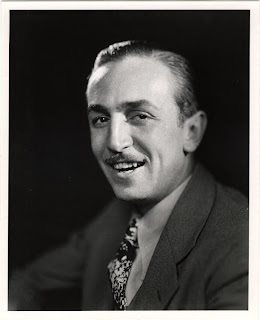 [My parents might have been on the Cote d'Azur when they traveled to Europe with Edna and Roy Disney in 1934. During this trip dad was presented with the League of Nations Award in Paris, and he also made sure that they saw the Strasbourg Clock that had impressed him so much in 1918. In 1948 my sister and I traveled to England and the continent with our parents. 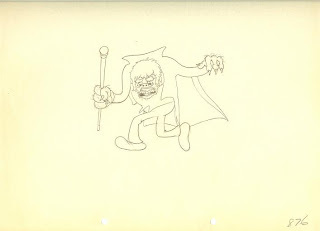 It was during the making of Treasure Island. We stayed at La Reserve, in Beaulieu sur Mer, and it was wonderful. 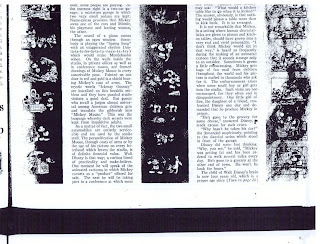 Several years ago I found a strip of film that dad had shot of Sharon and me around the swimming pool at La Reserve. In 1961 much of the film Bon Voyage was shot in France. 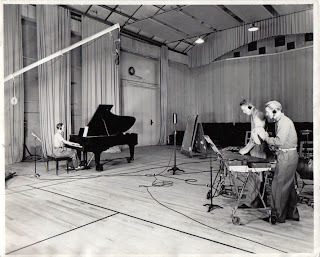 Mother and dad had been there on the location survey, and Ron was associate producer with Bill Walsh. I met them in New York, and we set sail the next day on the SS United States. 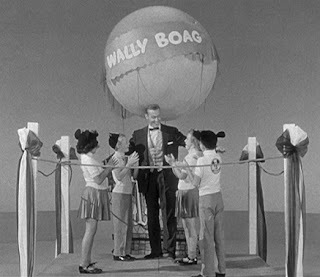 Film was shot on the voyage. Fred MacMurray, his wife June and their 5 year old twin daughters were aboard, as well as Bill and Nolie Walsh and their two children, ages 7 and 4, and the whole crew. Our children were Chris, age 6, Joanna, 5, and Tamara, 4. We'd left our youngest daughter at home, in the care of Thelma Howard, my parents' wonderful housekeeper/cook/ nanny. It was difficult for me to leave her behind for such a long time .. about 3 weeks. At this time I was pregnant with Walter, who was born in November of that year. We stayed in the George V Hotel in Paris, and I had a wonderful time with my children, all over Paris. 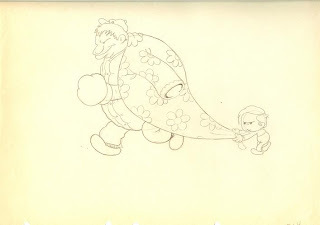 This is the only time we might have had a baby sitter, because I recall Ron and I going out to dinner with Joe McEveety, the assistant director and Ron's good friend, and my parents requested that we get a sitter from the hotel, even though we were sharing a suite with them. The [shooting] location moved to the south of France, and we stayed at Eden Roc, Cap d'Antibes, this time. The Walshes and the MacMurray families were always along, of course. It was really a family trip for everyone. We went to lunch in Eze once, and loved it, at the Columbe d'Or. My parents had been there with friends, Mary and Bill Sprackling, on a previous trip, and, before I joined the group in New York, had taken Ron and Bill Walsh... maybe several others... to dinner there. My kids and I really enjoyed the ocean at Eden Roc, and we ate dinner as a family every night. We had no baby sitters during this trip, and Ron and I had a year earlier hired a lovely young Swedish woman to help with the house. She was in our Encino home while we were gone, and stayed with us for 3 or 4 years. I would never have asked anyone to come to California and work for us. This woman must have met someone else connected with a Disney project. Do you know if any other discs contained great bonus material that did not make it to DVD? - Where's Walt, No. 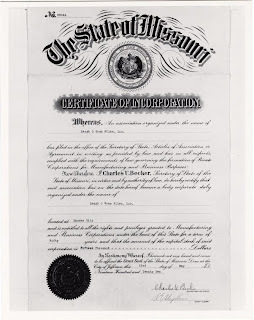 5 posted by Michael Barrier on February 26, 2008. As promised, here is the second part of the article I started posting yesterday. 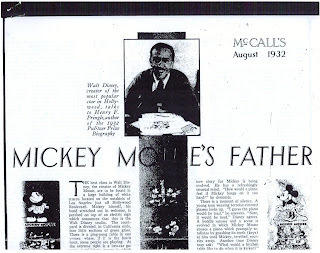 Thanks to Tim Susanin, here is the first part of a great article about Walt from 1932. I will post the second part tomorrow. Would any reader of the blog have access to one of those four articles? Speaking of articles, I will post some interesting one next week. I thought I would do it today, but I am having an extremely busy day. Have a great weekend. 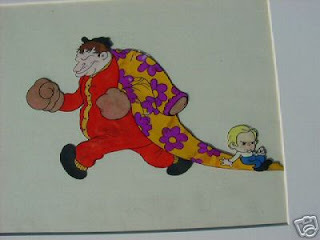 Two more photos of Hattie Noel, the live-action model for Hyacinth Hippo in Fantasia, found on ebay today. 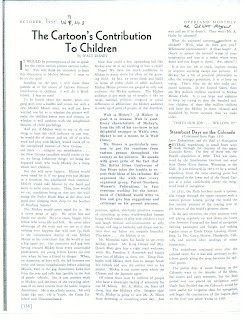 Thanks to Tim Susanin, here is an article by Walt that I believe a lot of you will enjoy. 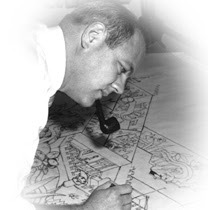 I am looking for any articles, quotes, or any in-depth material by or about Disney's "chief engineer" and "Studio manager" in the '30s, Bill Garity. 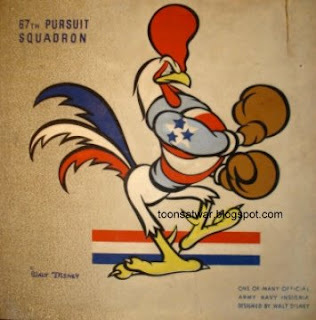 One of the readers of this blog also asked me if one of you might have a photo of Lance Noley, aside from the one that appears in the The Art of Animation (1958) by Bob Thomas. 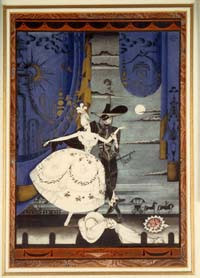 I have just received the following two notes about the upcoming book about Kay Nielsen. Exciting news just in through Animated Views. 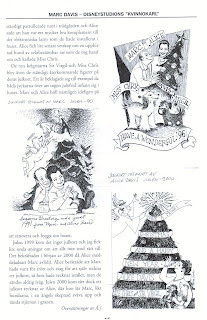 Göran Broling from Sweden was kind enough to send me a few days ago the article about Marc Davis' Xmas cards he released in the fanzine NAFS(k)uriren number 34, in 2003. While we can't read it, we can definitely enjoy the art. I will be travelling to Rome and New York in the upcoming few weeks for vacations. 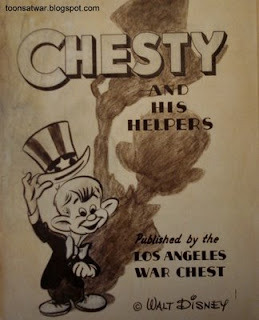 - Do any of the Italian readers of this blog know of very good comic book stores in Rome where I could find old Disney publications (magazines and books)? - Are there any Roman readers of this blog who would like to meet there (knowing that we will not have a huge lot of time, as my wife has never been to Rome before). I will travel to New York from April 6th to April 13th. Feel free to let me know if you will be there around those dates and want to catch up. 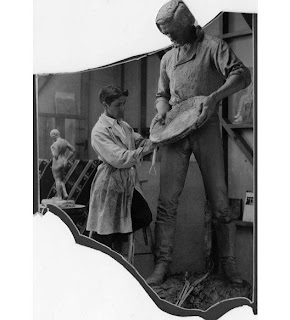 Two photos from the Disney Studio in 1938 found on ebay today. 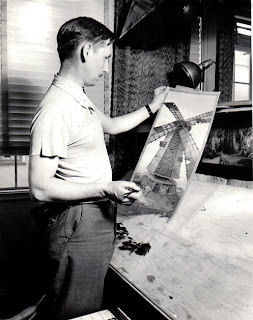 Who is the background artist working on The Old Mill above? And here is the sound studio. 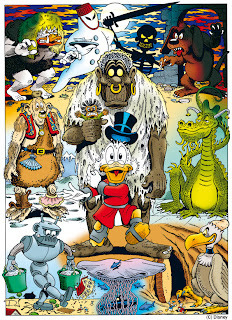 I have been a fan of comic book artist Don Rosa for years. Don, has just created a series of beautiful posters for the Norwegian Donald Duck magazine that pay homage to the life of $crooge. 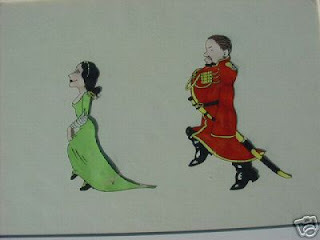 I found those posters fascinating and had to share those with all of you. You can discover them by starting with this link, then moving to the bottom of each page and clicking on the "Neste plakat" link). 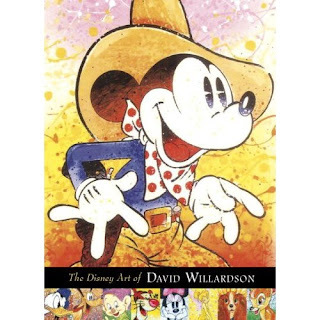 - The Art of Disney (note that this is not a re-publication of The Art of Walt Disney by Christopher Finch and no author is yet mentioned). An other book that may or may not be an art book is Disney's Dogs by Tamara Khalaf. I am still looking for more info about it, though. Any reader here from Denmark? 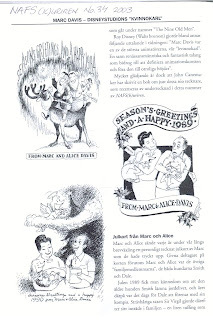 A few months ago I heard that a book about Kay Nielsen was supposed to be published in February 2008 in Denmark (see this link for more details). Would anyone of you know if that happened or could anyone call the publisher to find out? 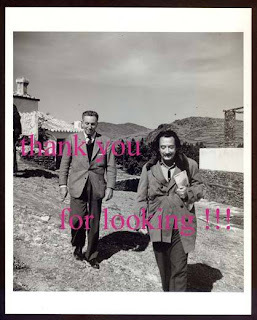 This photo of Dali and Walt is being sold on ebay at the moment. 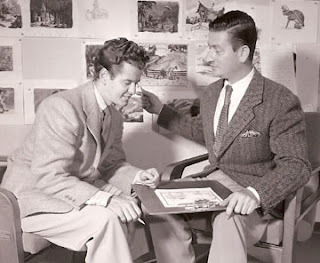 Needless to say, I loved the story that James Bodrero tells about Walt and Dali at the end of the interview Michael Barrier posted last week. 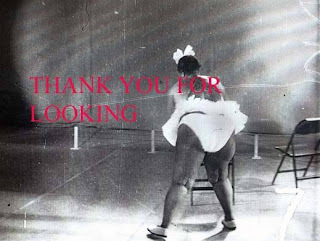 - Mark Sonntag has launched his blog! This one makes it to my permanent links. 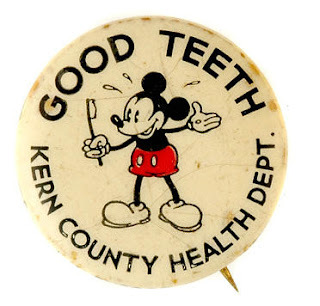 - Timothy Gallaher has also launched a blog that contains some interesting material: Ardendale Station (Ardendale is the street Ward Kimball lived on in San Gabriel). 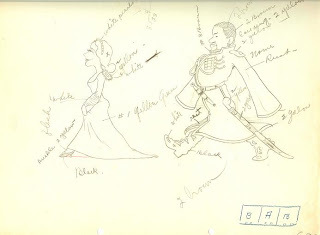 - Walt in England, Cont'd posted by Michael Barrier on February 17, 2008. Very busy day today, which means I have not much time to post anything of substance. Here is the last of the Serbian Mika Mis covers I just received, though. 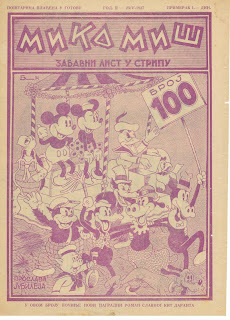 Issue 101. More on Monday. The galleys of the interior sections of Walt's People have arrived. They look good, so the project is apparently still on track and volume 6 is still to be released at the end of March. I am back from Barcelona and the best surprise I found upon my return was the fact that Michael Barrier had released the James Bodrero interview. Needless to say, this made my day, my week, or even my year. Reading an unpublished interview by Michael Barrier or Milt Gray is always a treat. It becomes even better when the artist they interview was both one of the key players at the Studio and had never been interviewed before. Thanks Mike! 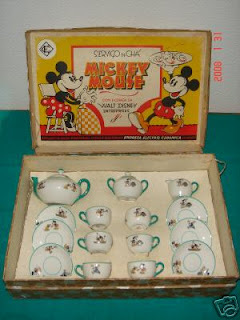 And a lot of new posts on Vintage Disney Collectibles by David Lesjak. I am not in Barcelona yet and I was browsing on Amazon this evening when I stumbled upon these two upcoming books. Needles to say, I was so excited that I needed to share the news right away. We knew about the second one, although getting a confirmation is great. 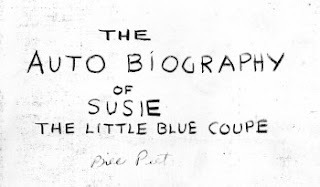 But the first book looks like the start of the Lasseter-inspired book projects about the best of Walt's people. Did I already say "exciting!"? I will be in Barcelona for work most of next week. The next update will therefore happen on Friday 15th. Any reader of this blog lives in Barcelona? I have just received today one of the keystones of Walt's People - Volume 7, which allows me to confirm its table of content. A lot of exciting stuff in that volume! 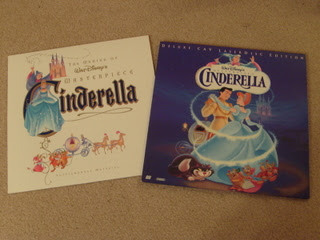 Do you remember Laser Discs? Once again, I need your help. 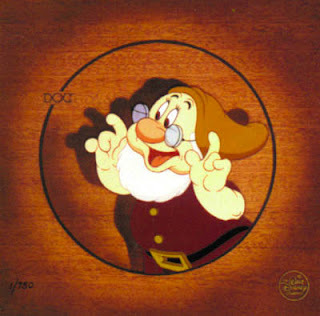 I am working on a project that involve my finding out what were all the key bonuses from the Disney Laser Discs that never made it to DVD. 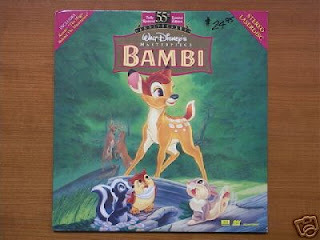 I never owned any Disney Laser Disc and have no easy way to find out. Could anyone help? 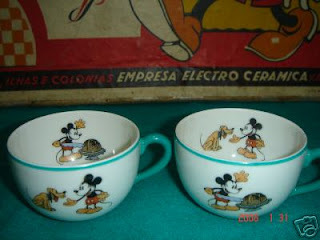 This is one of the most amazing pieces of Disneyana I have seen on ebay recently. 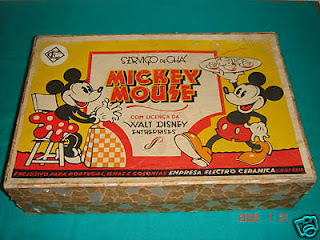 It comes from Portugal, is in pristine condition and I had never seen it before last week. This tea set created by Vista Alegre - Candal Electro Ceramica from Vila Nova de Gaia in Portugal went for about $1,200. 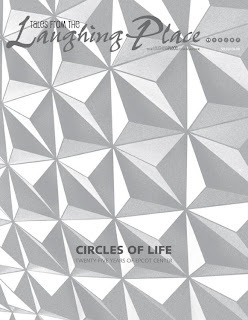 The long-awaited Tales from the Laughing Place magazine, number 11 has now been released. 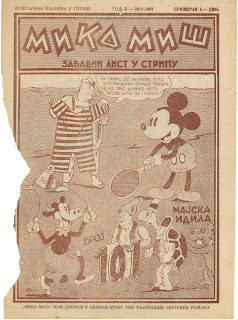 I do not own the cover of the Serbian Mika Mis number 99, so here is number 100. I am planning to spend 10 days of vacations during the second or third week of April in New York. Part of the objective of that trip, aside from enjoying the cultural and culinary life of the Big Apple, is to meet a few key Disney historians like John Culhane and John Canemaker, to discuss their potential collaboration to Walt's People. I am also hoping to have a chance to meet Michael Sporn and all the other blog readers that might be there around that time. There is another reason for this post, however. As we all know, the most problematic part of a trip to New York is the cost of the accomodation. My wife and myself were supposed to be hosted at a friend's appartment, but that friend just learned that he will soon leave NY, so that option fell through. 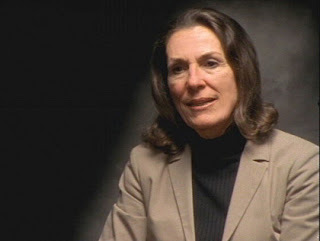 Nadine Missakian's, the Baron's wife, was Walt's secretary during the Laugh-O-grams days. Check Walt's People - Volume 5 to read an interview with her. 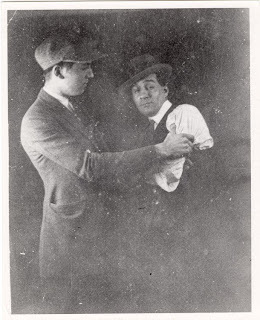 The archives left the above photo unidentified, but it is clearly Walt on the left. 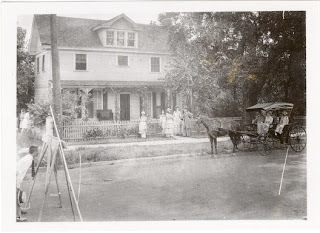 Shooting outdoor scene for MARTHA (above). 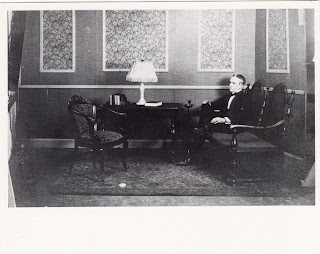 Photo of Ub Iwerks on the set of MARTHA. 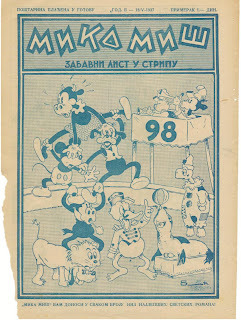 Here is the cover of the Serbian magazine Mika Mis number 98. 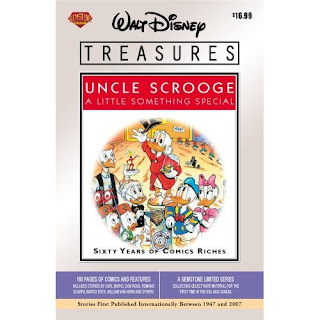 I mentioned the Italian I Maestri Disney yesterday, and David Gerstein pointed out that if there is a Disney comic book that is even closer to the Disney Treasures DVDs, it is the American Walt Disney Treasures. I was wondering when Volume 2 in that series would be released and David confirmed that this should happen within the next 2 weeks. Hurray. Speaking of release dates, Dave Oneal's book Vacationland is out and can be ordered here.